It looks like it’s going to be a winter week for much of the U.S., so the timing is right for some great book. Three very different novels this week; something that will appeal to everyone. 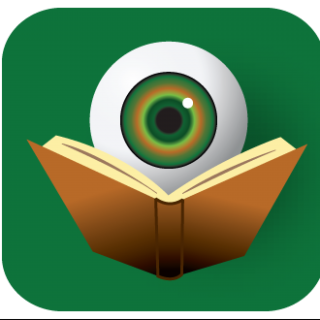 Evan Smoak has quickly become an iconic character in the crime fiction world, but there are still many facets of this fascinating man readers need to learn. 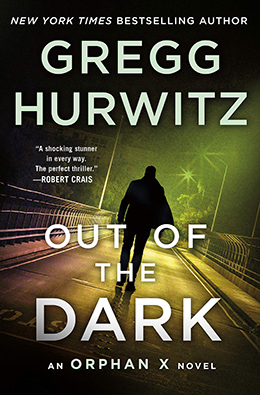 After the excellent debut, Out of the Dark is my favorite Orphan X novel – one fueled by pure adrenaline and with stakes that even the most jaded reader can appreciate. Pitting two operatives from opposite ends of the program’s timeline against each other proves to provide a thrilling ride, with risk at every turn. Anyone who has ever hosted (or attended) a garage sale knows that you never know what you are going to find, which is why it was such an inspired choice for a cozy crime series. 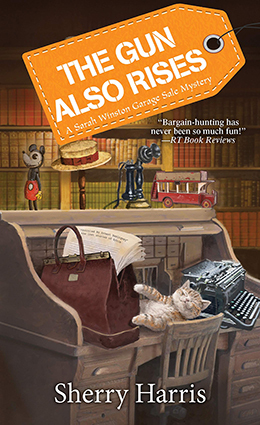 Book lovers, in particular, will relish Sherry Harris’s latest, in which Sarah Winston offers to help an elderly client sell her mystery book collection, only to stumble into a real mystery from the past. The research into Hemingway’s missing manuscripts is well done and Harris does an excellent job of weaving her own mystery plot through the threads of the historical tidbit. 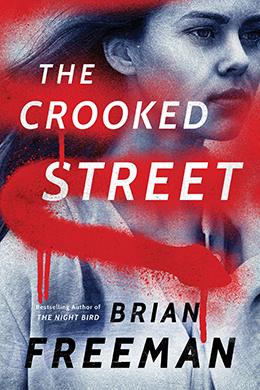 Brian Freeman is one of the under-the-radar stars of the crime fiction community. More people should be reading this man’s books! In this third in his Frost Easton series, Frost is on the trail of a possible serial killer – one who leaves graffiti snakes painted around the scenes of the crime – but things are always more complicated than they seem. Freeman keeps readers on their toes with a huge cast of characters (and a cat), a twisting plot-line that rarely goes where expected, and an ending that provides shocks on multiple levels. Don’t miss it. Kristopher, Thank you so much for reading and reviewing The Gun Also Rises. I’m so thrilled and honored to be on Bolo Books. My pleasure, Sherry. I really enjoyed the book. I’ve read one (Sherry Harris) and loved it. I just got home from getting a second (Gregg Hurwitz) at the launch party. The Nowhere Man is always willing to help. Enjoy the read.